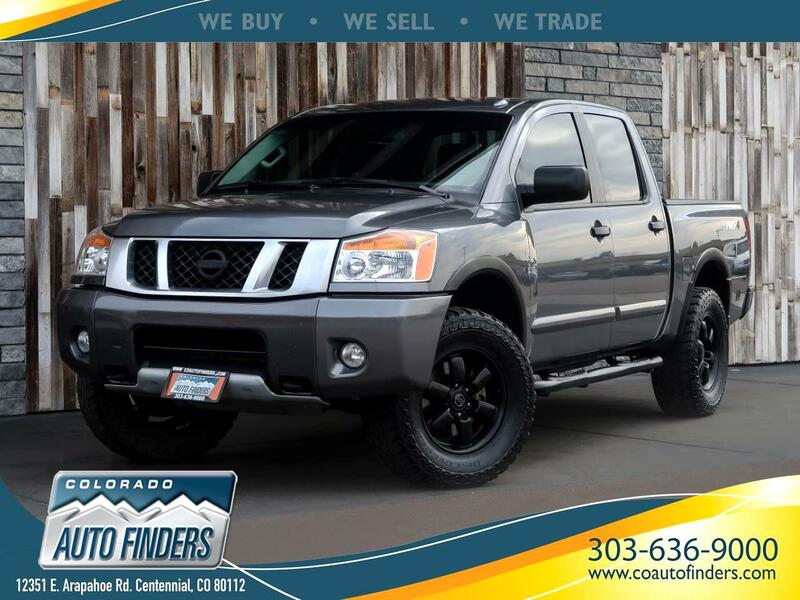 This 2013 Nissan Titan Pro 4X for sale in Centennial, CO. This truck being called a Titan you would expect nothing shy of Brute Power, Aggressive Styling, and Road Presence. This truck is loaded with options such as Power Seats/Locks/Windows/Mirrors, Heated Seats, Backup Camera, Bluetooth Phone Connectivity, AM/FM/XM Radio Rear Parking Sensors, and Power Sliding Rear Window.